"A single word can launch an army, but a single touch from me can bring one down." 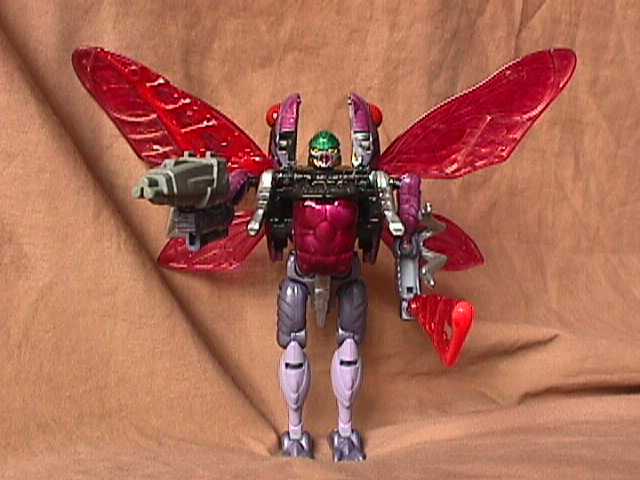 Terrasite is a literal typhoid mary of the Predacon army. Over the years she has purposely exposed herself to every computer virus known. This not only allowed her to develop an immunity to each of these, but it also allows her to store them in her body and transfer them to new victims with a single touch. She has brought down more Maximals through simple physical contact than she has with any other weapons, she also wields a tri-barreled laser cannon. In her insect mode she can fly and use her proboscis to inject her viruses directly into her victim's bodies. 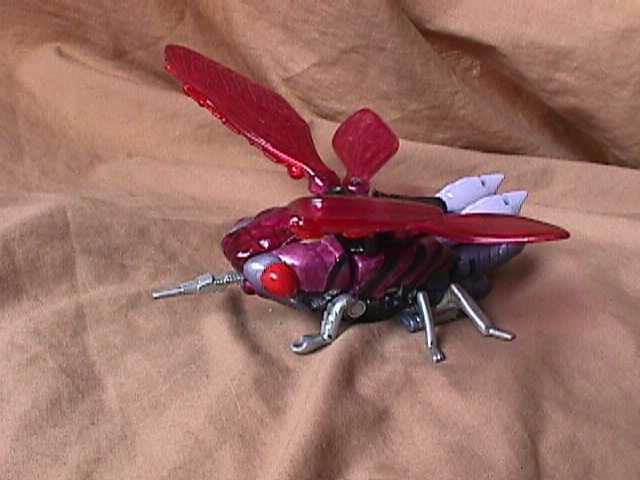 By shifting her wings and igniting a ramjet stored in her insect thorax she can change into a low altitude interceptor. 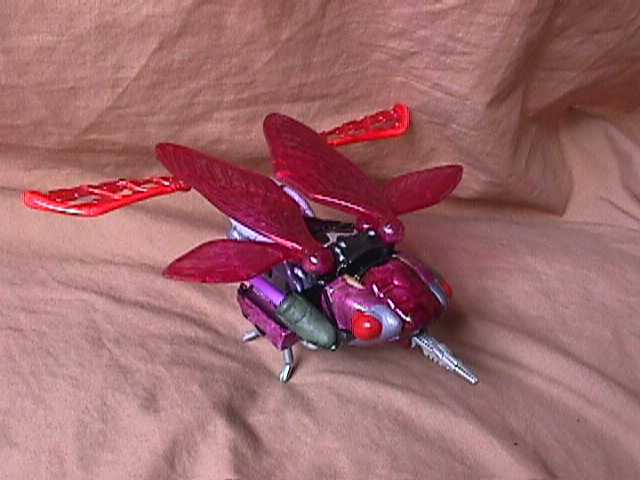 In this mode she uses two missile launchers mounted under her wings to fire high explosive viral missiles at her opponents. These missiles while powerful can only infect their targets with one virus at a time, Terrasite herself can infect her victims with dozens at a time. Provided she can get close enough to touch them, which the Maximals have learned never to let her do.